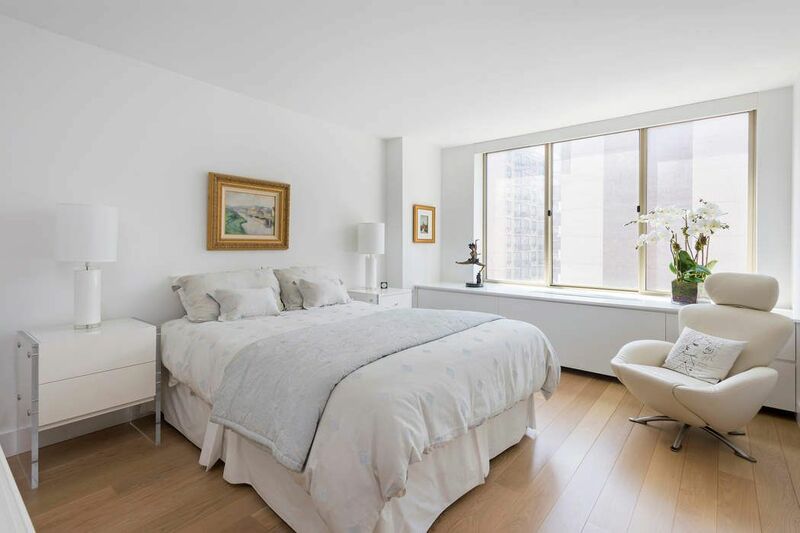 236 East 47th Street Apt 29E, New York, NY 10017 | Sotheby's International Realty, Inc.
$1,750,000 2 Bedrooms2 Full Baths1,040 sq. 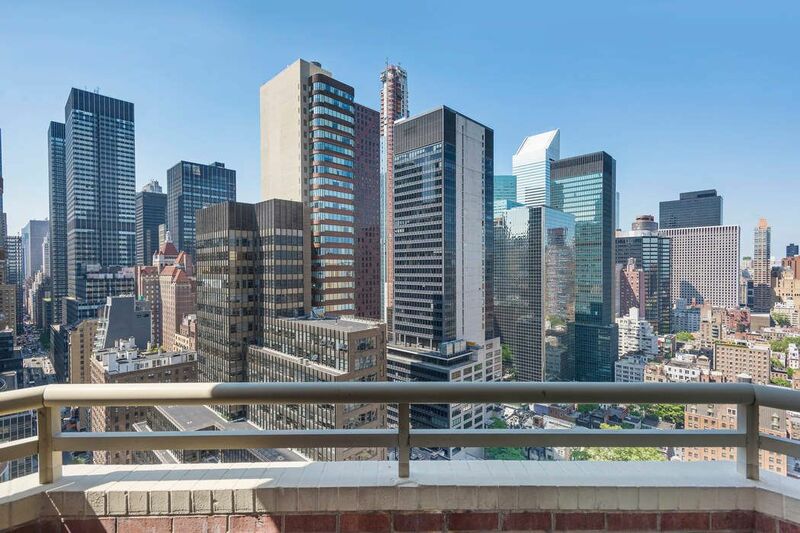 ft.
An incredibly rare opportunity presents itself in The Club at Turtle Bay to purchase an immaculately renovated 2 bedroom / 2 bath residence on a high floor with open sunflooded midtown views. No expense was spared upgrading this home. Improvements include hardwood flooring, an $80K investment in brand new double-paned windows, and custom lighting throughout. 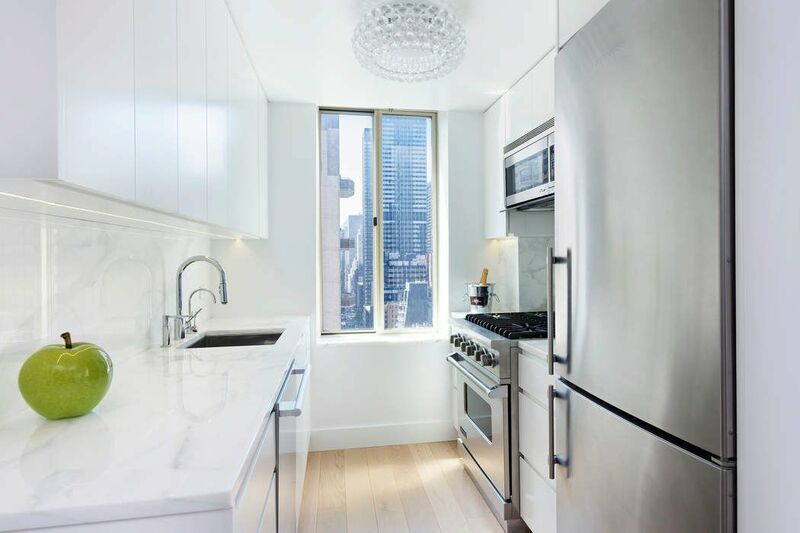 The windowed kitchen is beautifully renovated with Liebherr refrigerator, Viking 4-burner oven, Miele dishwasher and gorgeous marble countertops. The baths have been updated with modern finishes including imported Brazilian tile. The corner layout has winged bedrooms offering privacy for guests. 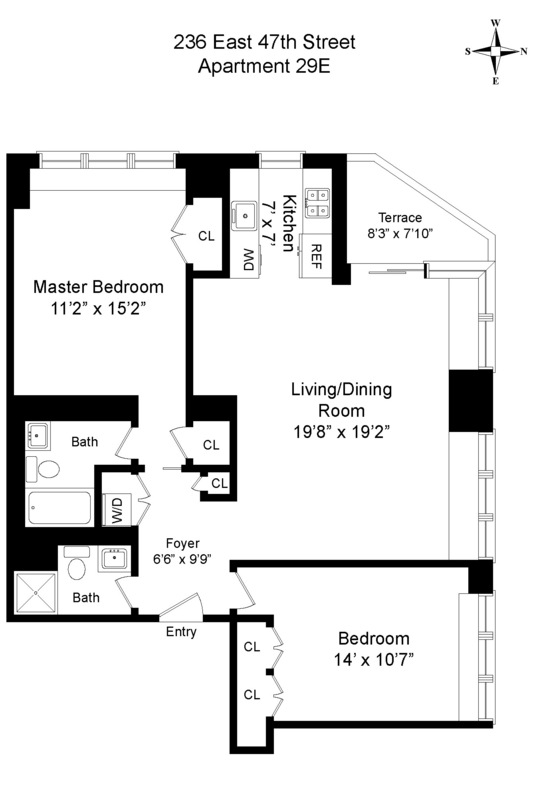 The square living room accommodates both living and dining comfortably. A Miele washer and dryer in the unit complete the picture. 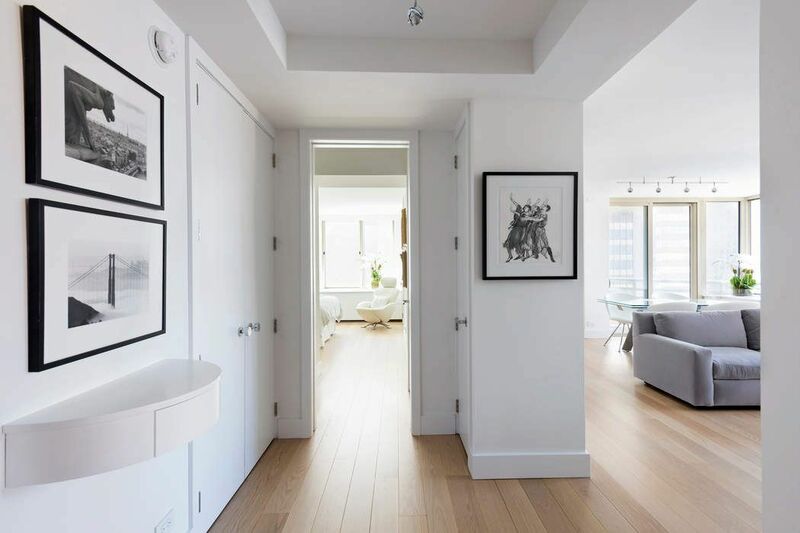 Truly no detail was overlooked in the tasteful complete renovation. Built as a condominium in 1989 with 3 elevators serving 173 units on 40 floors, The Club at Turtle Bay is a full service building located in the heart of Manhattan’s middle East Side. Conveniently located near the United Nations, numerous consulates and missions, Grand Central Station and The Vanderbilt YMCA. The Y offers reduced membership to unit owners of The Club. The building has many amenities including a large roof terrace and lounge with panoramic views of the Manhattan skyline, storage bins for rent subject to availability, laundry room & an experienced live-in superintendent. Sorry, but no dogs are allowed. 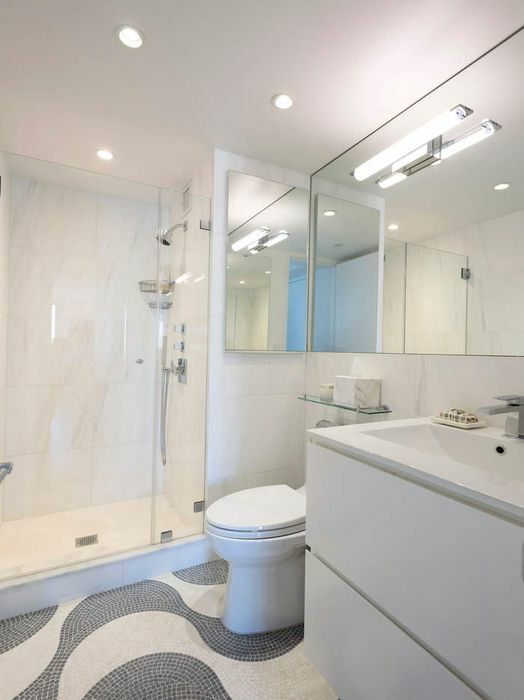 A full service condominium awaits in the heart of midtown Manhattan. There is a monthly special assessment in the amount of $137.46 until February 2019 for Capital Reserve Replacement. 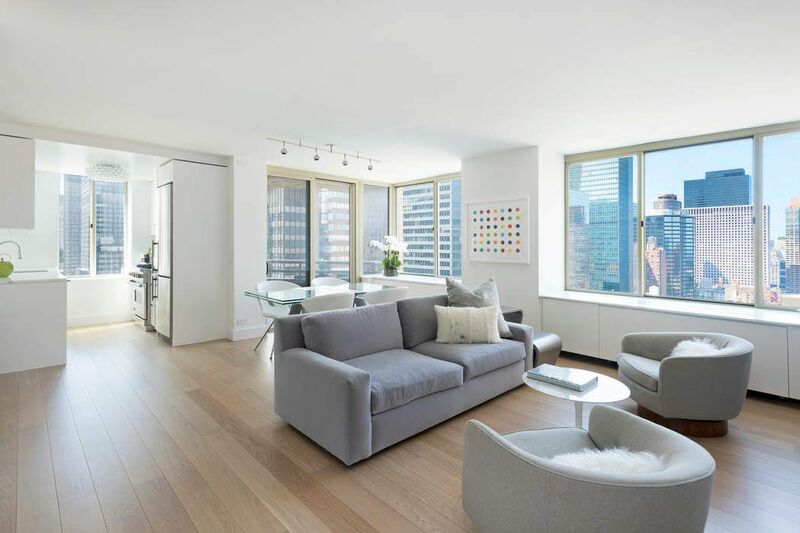 An incredibly rare opportunity presents itself in The Club at Turtle Bay to purchase an immaculately renovated 2 bedroom / 2 bath residence on a high floor with open sunflooded midtown views. No expense was spared upgrading this home. Improvements include hardwood flooring, an $80K investment in brand new double-paned windows, and custom lighting throughout. The windowed kitchen is beautifully renovated with Liebherr refrigerator, Viking 4-burner oven, Miele dishwasher and gorgeous marble countertops. The baths have been updated with modern finishes including imported Brazilian tile. The corner layout has winged bedrooms offering privacy for guests. 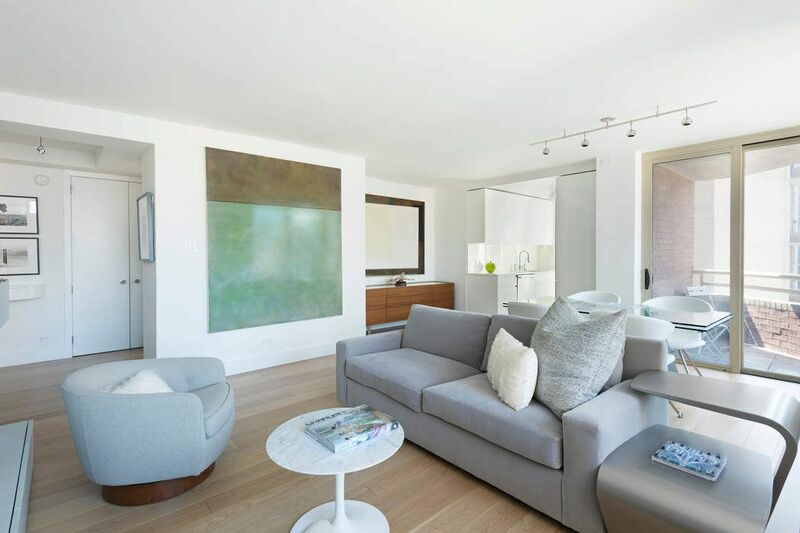 The square living room accommodates both living and dining comfortably. A Miele washer and dryer in the unit complete the picture. 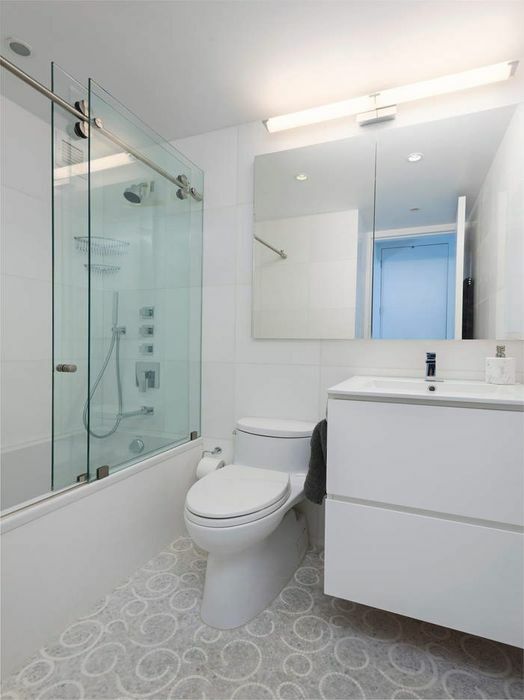 Truly no detail was overlooked in the tasteful complete renovation. Built as a condominium in 1989 with 3 elevators serving 173 units on 40 floors, The Club at Turtle Bay is a full service building located in the heart of Manhattan’s middle East Side. Conveniently located near the United Nations, numerous consulates and missions, Grand Central Station and The Vanderbilt YMCA. The Y offers reduced membership to unit owners of The Club. 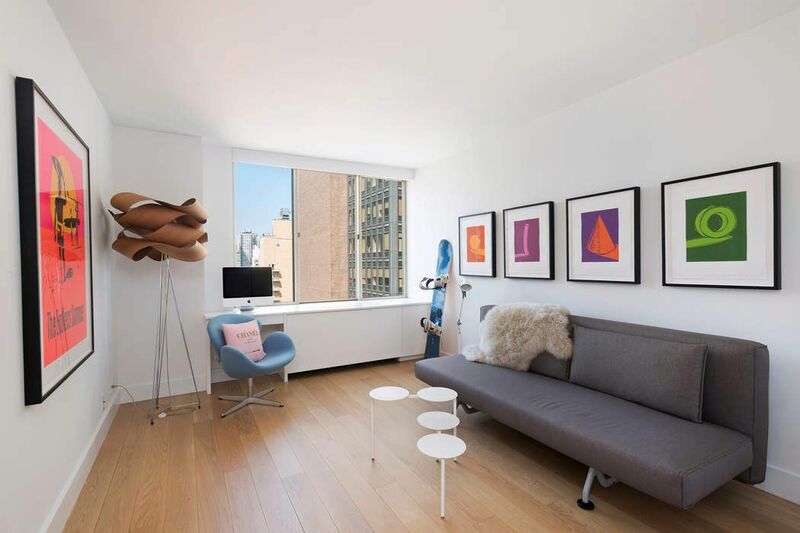 The building has many amenities including a large roof terrace and lounge with panoramic views of the Manhattan skyline, storage bins for rent subject to availability, laundry room & an experienced live-in superintendent. Sorry, but no dogs are allowed. 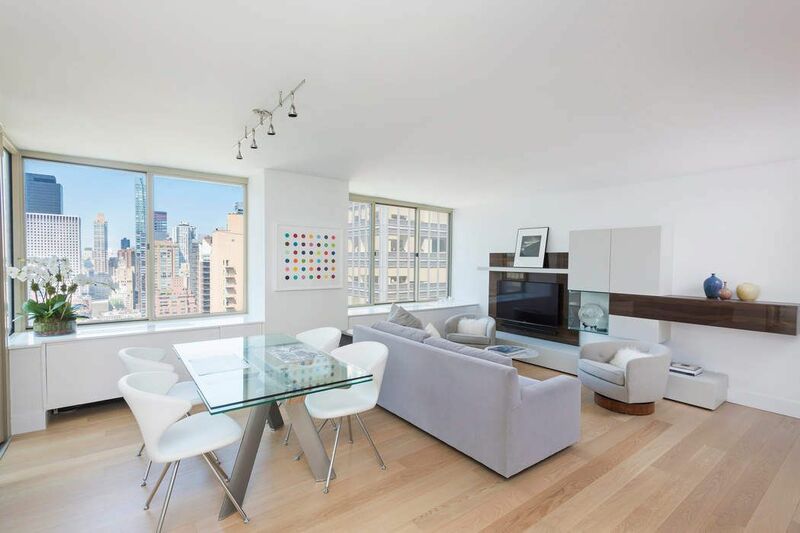 A full service condominium awaits in the heart of midtown Manhattan. There is a monthly special assessment in the amount of $137.46 until February 2019 for Capital Reserve Replacement.